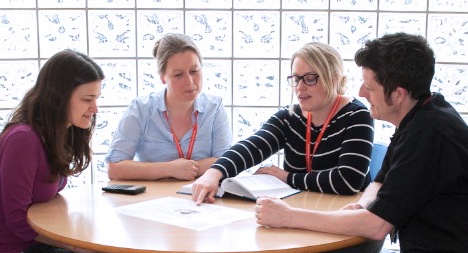 The award-winning ‘Volunteer-Centric Model of Research Nursing’ published by the NIHR BioResource nursing team won a Nursing Times award in 2015. 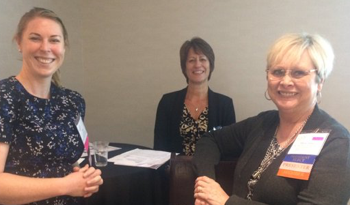 NIHR BioResource research nurses Kelly Beer and Tracy Cook (pictured top left and centre) attended the conference in Rhode Island, USA to represent the NIHR BioResource team and present their model of research nursing. The focus for this year’s conference was “Clinical Research Nursing: Incorporating Professional Scope and Standards to Advance the Coordination and Care of Research Participants”. Their presentation described the ‘Volunteer-Centric’ model, which facilitates the recruitment and engagement of volunteers in a translational research setting. The conference provided an excellent opportunity to showcase the team’s work and highlight the variety of research being undertaken at the Cambridge Biomedical Campus.